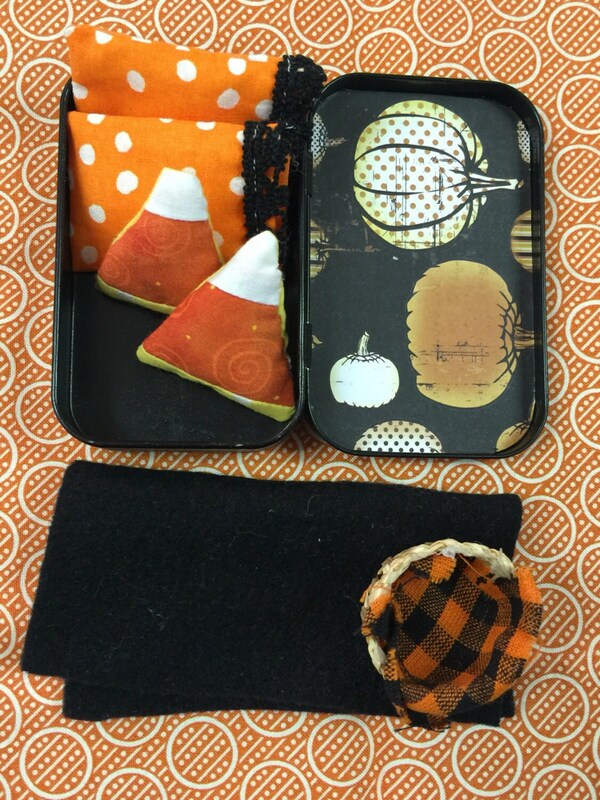 This metal candy tin has been hand painted black and the kid lined with Halloween paper. Lid opens and closes. Two orange and black pillow cases with white cotton pillow inserts. 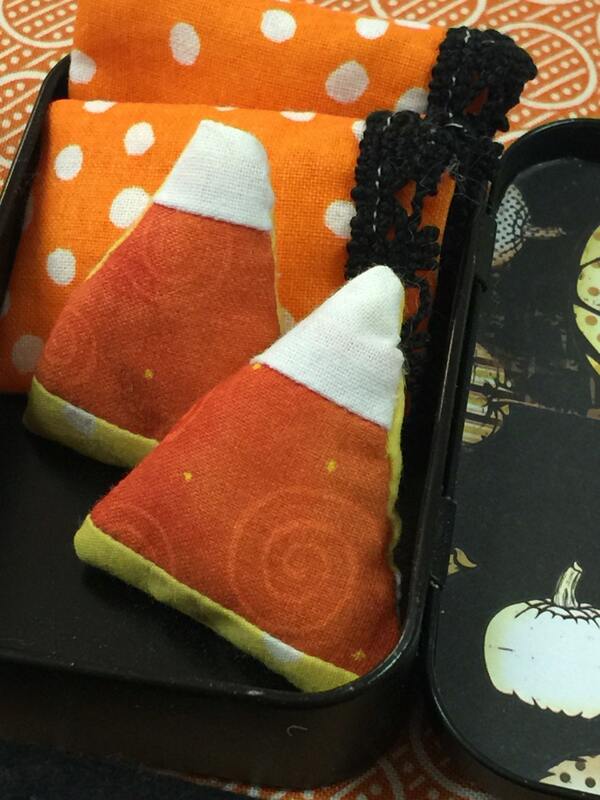 2 Candy Corn pillows. 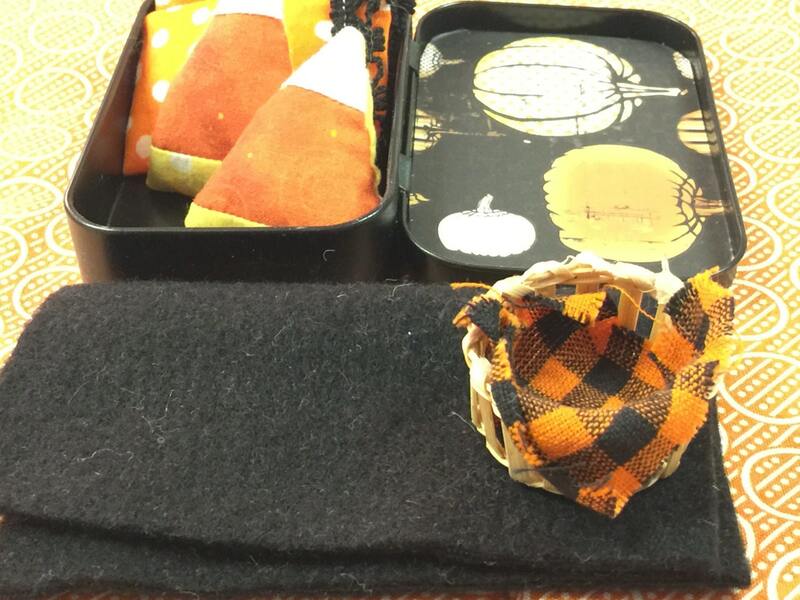 A black fleece blanket and a lined basket. I love little items that are used for toys where kids can quietly play with them and they are small enough to be carried around in moms purse!